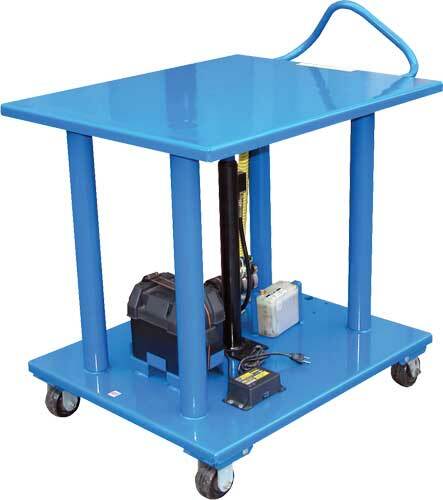 Lange Lift Battery Powered line of lifts features standard capacities from 1,000 - 5,000 pounds per lift and a 1/4" thick Formed & Welded Flat Steel Deck. 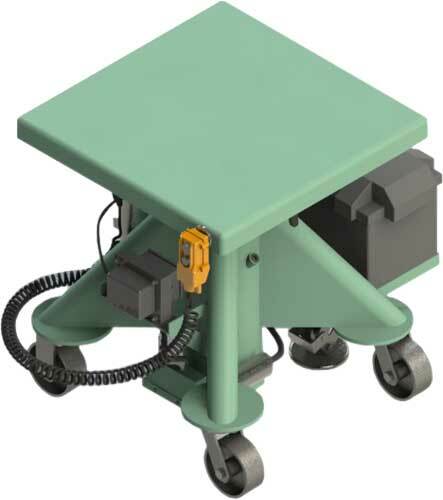 HT-DC units include a 12V DC electric motor to raise and lower the platform. They also include a battery and a hand control on an 8 foot coil cord. 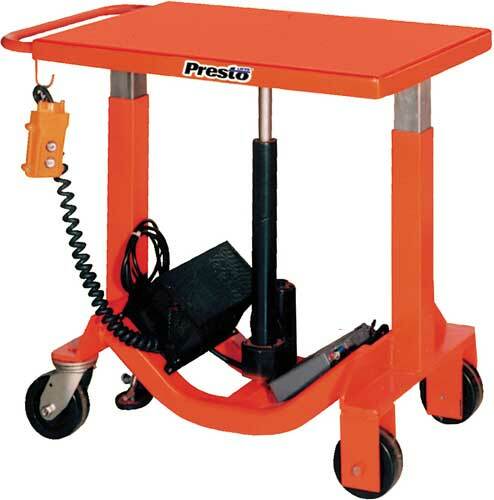 The BP12 & BP18 use an electromechanical screw drive powered by a 12 volt, 35 amp, gel cell, maintenence free battery and come with a 10 amp battery charger.